You can use it to buy beer in Berlin, order pizza in Amsterdam, hire a taxi in Edinburgh, schedule a dental check-up in Ljubljana, do a degree in Nicosia, purchase Alpaca socks from Massachusetts - or even blast off into space with Virgin Galactic. Every day, it seems, another service joins the Bitcoin revolution, accepting payment in the so-called virtual currency. As its popularity has soared, so has its price. 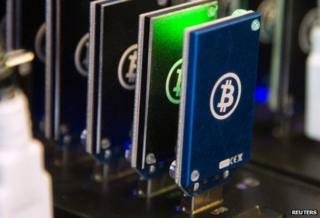 On Wednesday it breached the $1,000 (£614) mark on Japan's MtGox exchange for the first time. That's nearly five times the price it was at earlier in the month. If all of that makes it sounds like more of an asset than a real currency, then that's probably because it's a fair description. Unlike "real-world" currencies, there is no central bank backing Bitcoin and anyone with a powerful enough computer can create one as part of a technique called "mining", which is used to process transactions. Understanding exactly how the Bitcoin system works is only marginally easier than tracking down its mysterious creator - Satoshi Nakamoto, the pseudonym used by the author or authors of the 2008 research paper that sparked its existence. And, in truth, interest in Bitcoin arguably outweighs its role in the wider economy, with the possible exception of the way it has facilitated illegal trades on underground sites such as the Silk Road. But what makes it important is what it tells us about the role virtual currencies might play in the years to come. On this point, however, there is a divide between those who think it is a fantasy destined for failure, and those who think it will underpin the future of finance. Over the past few years, I must have been asked this hundreds of times. I first used Bitcoin in April 2009, just a few months after it was first released to the world. Back then, it had no value at all - there were no users and no trade, no exchanges and thus no exchange rate. Now Bitcoin is reaching new heights thanks to a combination of speculation on future value and genuine, undeniable usefulness. Think about it: Why can it take days or weeks for banks to send money around the world, when an email travels in seconds? Does the money travel by steamboat? Are they loading gold bars onto the side of a camel and sending it over the mountains of Mongolia? The real answer is depressing - banking is a stagnant market running on long-obsolete infrastructure, which improves only when forced to by government. Same day payments happened only after banks were dragged into the 19th century by the Office of Fair Trading. When Metro Bank opened in 2010, it received the first new UK banking licence issued in 150 years. Bitcoin has created a firestorm of excitement throughout the world because it's a new financial system, designed from scratch by the people, for the people. It's not only fast, cheap and easy. In Bitcoin, every participant has equal power. There are no bankers, because there are no banks. Image caption Bitcoins are stored in a virtual postbox called an "address", which is in turn stored in a "wallet"
There are no banks because there is no need for them: People can control their own money. The rules of the system are enforced on everyone by each other. Not even the current software developers can tamper with it against the wishes of the users. With better technology comes new features. The web is powered by advertising because credit cards are too inefficient to pay for most content. Bitcoin enables micropayments - instead of ads, tiny fractions of a penny could flow from your browser directly to sites you visit, with no middleman fees making the scheme impractical. Crowdfunding doesn't need to be restricted to sites like Kickstarter, which have complex policies and fees - people can do it themselves. Even something as trivial as a child running a lemonade stand can now be made digital, because anyone with a smartphone can accept Bitcoin: No complicated merchant bank accounts are needed. Bitcoin is barely five years old. It has its problems - volatility, geekiness and an appeal to criminals come to mind. With your help the project can overcome these issues and change the world. Trade on! Bitcoin is a beautiful example of what the psychoanalyst David Tuckett calls a "fantastic object" - unreal but immensely attractive. The Bitcoin experience accesses notions of stateless money, peer-to-peer exchange, and of course, no regulation or financial intermediation. The origin story is clever and cute, and just hard enough to understand to induce a belief in the stability of the supply of the bitcoins, leading to a rush for them now, as opposed to later. Bitcoin's value is dependent entirely on what you, the buyer, are willing to pay for it. If there were no users, there wouldn't be any value. Because it has no use value, only exchange value, Bitcoin can have literally any price, and so the market for Bitcoin is permanently in a bubble as a result. This bubble will form and burst many times, making and losing fortunes in the process. I'm Irish. I know exactly what crazy bubbles look like. The Bitcoin phenomenon is the purest manifestation of what Charles McKay described in his 1841 book Extraordinary Popular Delusions and the Madness of Crowds. At the psychological level of the investor, there's no difference between bitcoins, tulips, railways, or the stock market bubbles of the 1920s, 1990s, or the mid 2000s. In this case a lot of people are deciding a string of electrons are worth something, as opposed to nothing, and they want to sell it to the next guy as soon as possible. As long as you pass your Bitcoins on to the next guy while extracting a profit, you'll be happy. There is always a greater fool. Right up until the moment there isn't one. Economically, Bitcoin is nothing special. It's a speculative asset people are buying primarily to flip onto someone else. The "money 2.0" stuff is just marketing, and has been tried before, in the US in the 1850s during the free banking period, for example. As I've said elsewhere, this time really isn't different, but you can tweet about it. The fact Bitcoin isn't regulated is a big plus for some. As one Bitcoin promoter boasted to me recently- and he did this himself - you can move $1m worth of Bitcoin across a border on a Zip Drive and not be detected. The authorities won't allow this to last for long. Bitcoin's biggest boosters are also holding large amounts of the stuff, so beware, buyers. My colleague Karl Whelan has suggested Bitcoin may simply be competed out of existence by other services like LiteCoin, TerraCoin, and AllahCoin, or regulated by national and international governments if it becomes associated with largely criminal activity. Readers holding Bitcoin will be shaking their heads reading my piece - the value has exploded by thousands of percent in a single year! To which I respond: Exactly. Get into Bitcoin or another digital currency if you want. I hope it makes you rich. But don't kid yourself this is anything more than speculation for a quick buck. The messianic stuff will go out the window once it collapses. There are lots of things in the real economy to invest in too. The big advantage of Bitcoin as "stateless money" is that when it collapses, the government won't have to bail it out. Bitcoin: Dawn of a new currency or destined to fail?